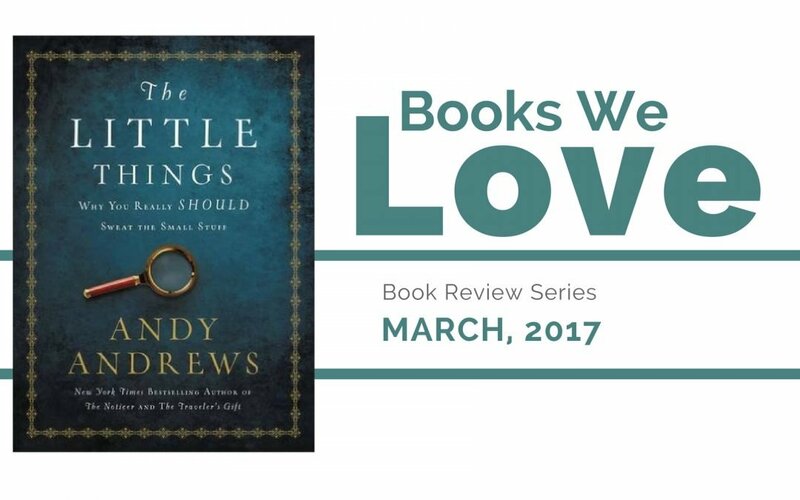 The Little Things - Andy Andrews [Book Review] - Pici & Pici Inc.
Where do you go when you’re looking for quality content? When we want a compelling story that captivates our imagination, we head to the movie theatre to see the latest blockbuster. When we want to be introduced to new ideas and have our way of thinking challenged, we reach for the latest New York Times Best Sellers. And when we want to be entertained with witty humor? We pull up a video on Youtube of a great comedian. But, when we want a bit of all three? That’s easy. We look no further than Andy Andrews. As a New York Times Best Selling Author, Andy is an expert, consistently putting out quality content that captivates, challenges, and entertains. His new book, The Little Things, is no exception to that rule. 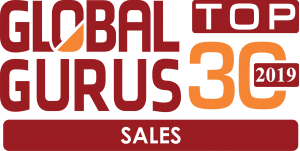 You can click below to order your copy today! Now, don’t misunderstand this. We in no way mean that the book has simplistic concepts, ill-conceived logic, or a limited vocabulary. Andy approaches challenging topics and introduces brand new ideas in a captivating, yet conversational way that immediately makes the reader feel more comfortable. As Andy himself puts it, he writes his books as if “we were together in the backyard drinking iced tea.” In addition, each chapter integrates the power of story telling that makes potentially abstract concepts and dry historical facts come to life in a way that readers can fully grasp and then turn around and apply to their own lives. At around 170 pages (divided into 15 chapters), each chapter is succinct, yet power-packed, inviting multiple reads and time for reflection. Why do we have to go to the grocery store? BUT WHY CAN’T I HAVE ANOTHER COOKIE? However, from the time we are children, we are conditioned to NOT ask this question. In our parent’s rush, frustration, and determination to stress the importance of respecting authority, the common answer is usually, “Because, it just is!” or “Because, I said so!”. Asking the question “WHY?” becomes the center of disciplinary action from our formative years, discouraging this question being asked later on in life. As a result, there are many things that we do today, from family tradition to common practices to business protocols, that are simply there because they always have been or because they work “well enough”. We fail to question why things are done a certain way, which means possibly missing out on doing things a BETTER way. What does this have to do with The Little Things? Andy Andrews has no fear of asking the hard “WHY?” questions and encourages his readers to do the same. He illustrates how to excel in taking the big practices and ideas with which we are familiar and breaking them down to their simplest components. He challenges readers to develop a willingness to take common perceptions and practices and ask “WHY?” until they see them from an altogether different view. Instead of the “top-down” big picture methodologies that have become so popular today, he instead promotes the concept that life is a series of many small brushstrokes, strategically placed over time to create a final masterpiece. This makes success and goal achievement much easier to conquer. In the preface, Andy refers to himself as a “noticer”. This means that, as Sherlock Holmes would put it, while many people merely see the things around them, Andy observes them. He is able to look at everyday things and not only see what they are, but what they have the potential to become. This ability has given him a knack for comedy, however he also uses this at an altogether deeper level. Honestly, we believe Andy is much more than just a “noticer”. Observation implies passivity, as if the viewer is far removed from the situation itself. However, he takes this a step further, adding this ability to his compassion and his desire to take action. Andy uses his unique insights to change the way others see the world, and consequently, how they believe, think, and act. How does this come through in the book? There is an incredible positivity that permeates throughout the book. Even in the most challenging chapters, Andy continues to bring light and hope by giving practical, positive changes that readers can make. Every chapter holds this hopeful attitude between the lines, as he illustrates how the little things really do make the difference. Andy shows how accessible success is to each and every individual. That is the hope of The Little Things. Thank you for checking out The Little Things Book Review! Do you have any suggestions for what we should review next?